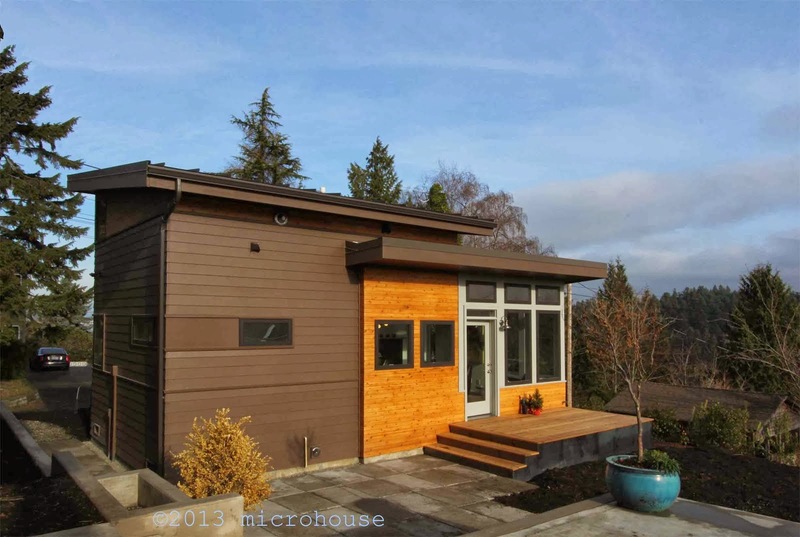 It has been a busy week for microhouse in the press with the lake washington cabin featured in Seattle Magizine and a send up on Portlandia. Portlandia fame aside, we don't actually design houses on wheels. Our houses rest on foundations and are usually between 400 and 1,000 sq. ft. in size. In fact we frequently work with people who are up-sizing from a boat or small apartment, people who are looking for a comfortable place to live that is efficiently designed. If you would like to tour a backyard cottage please sign up for our open house invite list. Our next open house will likely be mid May. We also have announced a date for our spring workshop April 15th at the Phinney Center workshop info. 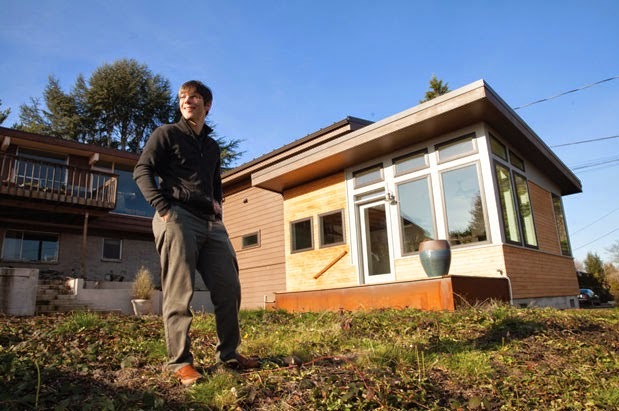 The Seattle City Council considers a draft resolution that will expand the backyard cottage ordinance with the goal of increasing the number of backyard cottages being built. While we support backyard cottages and increased density we oppose many of the proposals being considered. We have talked with literally hundreds of people planning backyard cottages and would guess that the main barrier that prevents more cottages from being built is cost. But we don't see any provisions in the draft resolution that will have much impact. Permitting fees are progressive being based on square footage and less than in other places. We can think of only one project that wasn't able to go ahead because of parking. And getting a building permit for a backyard cottage isn't more difficult than for any other residence. There are some systematic issues that make them challenging to design most fundamentally DPD' s inability to decide what is included in allowable 800 sq ft. size. 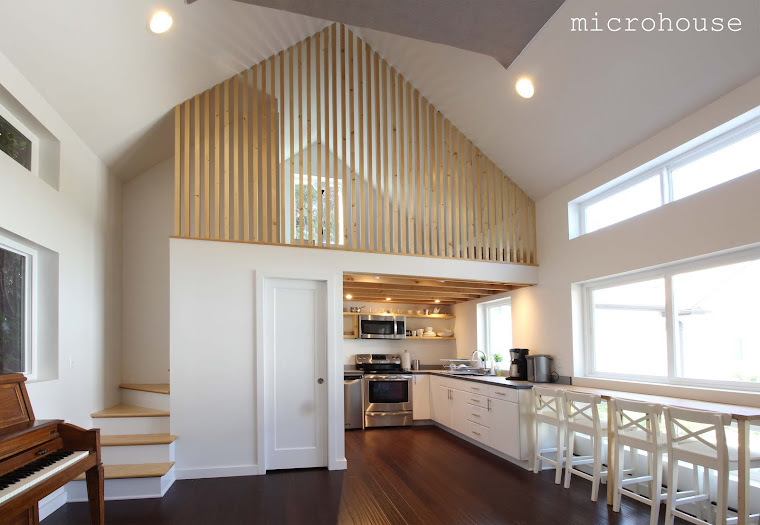 There are also many common sense items that are addressed elsewhere in the residential code that are for now not allowed for backyard cottages like provisions for extra height for dormers and the use of side yard agreements. We are strongly opposed to the removal of the owner occupancy requirements because we feel that it will result in a land grab by developers and be detrimental to our neighborhoods. We not only work in Seattle but live here as well. If we could waive a magic wand and revise the landuse code it would be to expand the number of standards that are departable. Now many design standards are but those are only for the conversion of existing structures. We think this should be expanded to new construction where there could be an option design review process to weigh the merits of particular departures. We encourage you to email the city council and share your views. Mike O'Brien is the current chair of the Planning, Land Use and Sustainability committee.